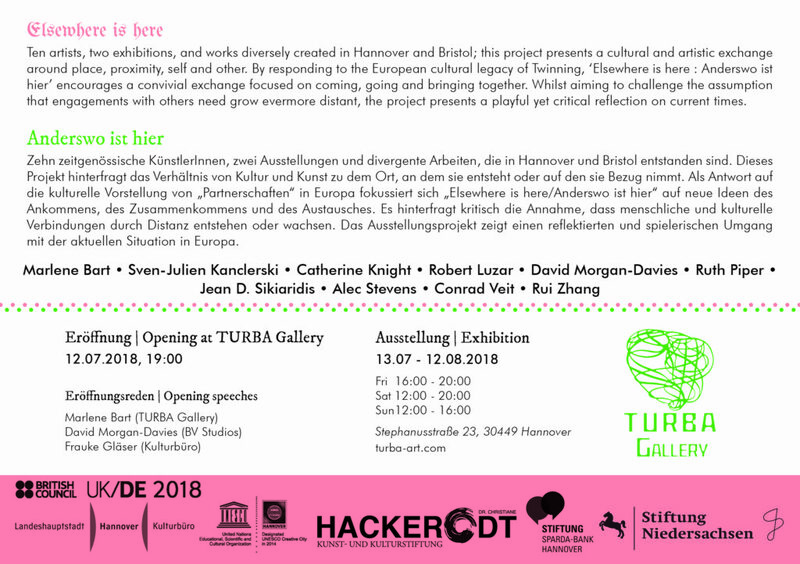 Elsewhere is here : Anderswo ist hier is the first exhibition to come out of the artist exchange between artists from Hannover and Bristol; the background to which I’ve written about here. Whilst aiming to challenge the assumption that engagements with others needn’t grow evermore distant, the project aims for a playful yet critical reflection on current times. In response to the cultural and artistic exchange around place, proximity, self and other 10 artists from the two cities present new work at the Turba Gallery in Linden, Hannover. Elsewhere is here : Anderswo ist hier from David Morgan-Davies on Vimeo.